The UAE’s preparedness to participate in a ground military operation in Syria was confirmed by Minister of State for Foreign Affairs Anwar Gargash, who said that "US leadership on this" would be a prerequisite. "We are not talking about thousands of troops, but we are talking about troops on the ground that will lead the way ... that will support ... and I think our position remains the same and we will have to see how this progresses," he added, as cited by Reuters. Earlier this week, Saudi Arabia and Bahrain said they would contribute troops for a ground operation in Syria, should the US choose to start one. The three countries are already participating in the aerial bombing campaign spearheaded by Washington. The US however has repeatedly said it would not send ground troops to fight Islamic State (IS, formerly ISIS/ISIL) and wants the Arab nations to do the fighting on the ground. The Syrian government warned that any foreign army entering Syria without an invitation would be considered an enemy and resisted. "Let no one think they can attack Syria or violate its sovereignty because I assure you any aggressor will return to their country in a wooden coffin," Syrian Foreign Minister Walid Muallem said on Saturday. Iran, the key regional ally of Damascus and a rival of Saudi Arabia, said Riyadh lacked the courage to deliver on the premise. "(The Saudis) have made such a claim, but I don't think they are brave enough to do so ... Even if they send troops, they would be definitely defeated ... it would be suicide,” Iran's Revolutionary guards Commander Mohammad Ali Jafari said. Russia, which is providing air support to the Syrian government army in a campaign separate from the US-led coalition, dismissed the Saudi statement, pointing out the lack of progress in its other ongoing military operation in Yemen. 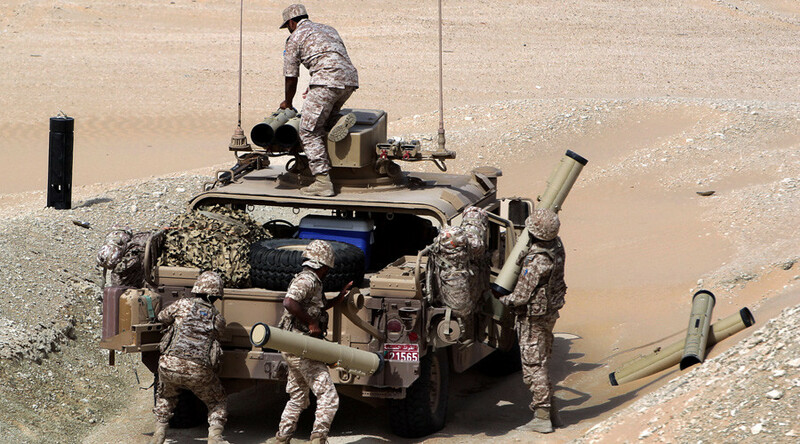 Saudi Arabia sent its warplanes and troops to the neighboring country to fight against the Shiite rebels from the Ansar Allah movement, also known as the Houthis. 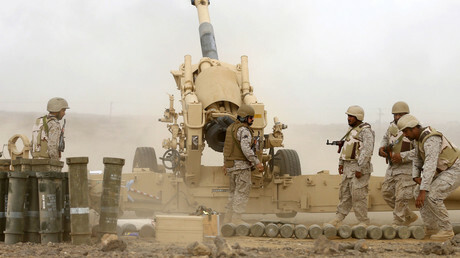 The intervention, which the UAE is supporting militarily, resulted in significant civilian casualties and a humanitarian crisis, but has not seen a military victory.